It lowered its earnings before interest, taxation, depreciation and amortisation (Ebitda) guidance of €20-26 million to approximately €16.5 million, and its Ebit guidance of €10-16 million to around €7.8 million. The developer cited €10.8 million in lost investments in three offshore wind farms off the coast of Germany — Jules Verne, Nautilus, and Nemo, all of which were due to be 480MW — as the cause for the guidance revision. It said the three projects had "become less likely based on the current regulatory undertakings". The three projects are based in Zone 4 of Germany’s exclusive economic zone — which is seen as incapable of accommodating extra offshore wind capacity, according to the country’s Land Development Plan. While the plan shows an extra 2GW beyond the 15GW specified in Zone 3 — home to two 400MW sites PNE is developing — it makes no additions for Zone 4. This means that developing these three projects have "become less likely based on the current regulatory undertakings", PNE stated. Meanwhile, development of the two 400MW projects — Nautilus I and II — "remains likely", the company added. However, PNE added that it expects to be successful with a constitutional complaint over the three Zone 4 projects, as well as the two 400MW sites. It is challenging the constitutionality of Germany’s Offshore Wind Energy Act, passed in 2016. The Act ruled that ongoing permitting procedures for offshore wind projects would end on 1 January 2017 if they were not permitted, had a plan approval issued, or a public hearing heard on a permit application before 1 August 2016. 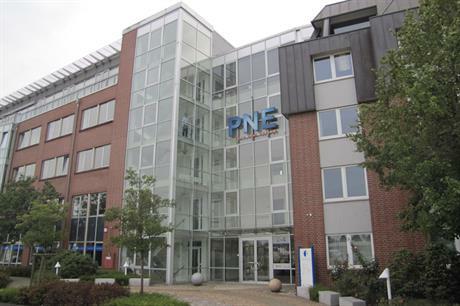 This left PNE without any form of compensation due for the €10.8 million invested in the projects. It had made these investments prior to the 2016 Act and in accordance with previous legislation. PNE believes it could claim this amount as damages. PNE stated that, if successful, this damage claim would be "recognised in profit or loss after a valid final decision at the earliest". The challenge is ongoing, a PNE spokesman confirmed. The developer had spent a further €11.8 million on the Atlantis II and III projects, both of which have planned capacities of 400MW.